Starting an online business can be a great way to earn a living, and who knows what might happen if the business takes off. With so many businesses online, there’s a lot of competition out there, but there’s also a lot of shared wisdom too. If you’ve got a great idea and the drive to succeed, then you’re already part of the way to becoming an online success story. Here are some takeaway tips for running an online business to help you achieve the success you deserve. Running an online business means that you are reliant on having a good website. As your business’ own storefront, it’s what will help make the best first impression on a customer or client. A successful web page requires an incredible design, fast loading speed, easy navigation and excellent visuals – among other factors. Your website needs regular investment to ensure it keeps performing, so conduct a regular review to make sure you’re abreast of the latest trends and that your website remains a must-visit destination. While you could simply write your copy yourself, sometimes a professional could be the way to go. It can be easy to make mistakes with your online business, but just because the business exists online doesn’t mean that the risks aren’t as high as those associated with an offline business. From having a separate business account to setting yourself some work hours, you need to take your business seriously. Learn how to be more productive when working from home to make sure you get things done – it’s important to keep your motivation, even during tough periods. People need to be able to trust a website and having your contact information somewhere clear and visible can help to make things easier for your visitors. Whether you need to offer customer service or deal with queries, display your contact information on your homepage to make it easy for people to find you. If you deal with queries from people all over the world, then letting them reach you buy 1300 number can help make sure your lines are answered at all times. Be courteous to those who get in touch by responding to their queries quickly. Newsletter subscriptions can be a vital marketing tool for your online business. With a database of contacts, you can email through the latest news, promotions, and sale information to help encourage new and existing customers to make a sale or engage with you. While you must ensure that you are using data correctly and provide people with the chance to opt out if they need it, having email subscribers is a free tool that is worth having. Find ways to grow your newsletter subscriber list to help further your potential. People love a bargain, and having regular promotions and discount codes will encourage people to make a purchase. Regular promotions you can consider include free delivery, a discount on shopping cart totals/service fees or free gifts. Many online businesses also offer rewards for referrals, which is something you might like to consider. Make sure your deals are genuine and conduct some analysis afterward to test what’s been the most effective promotion for your business. Are you using your social media accounts to your full advantage? If not, perhaps it’s time you took a hard look at your social media strategy. Using your profiles such as Facebook, Twitter, Instagram, or Pinterest. you can reach a wider audience with your online business and encourage users to visit your website. Many companies generate a fantastic impact using free social media features, making it one of the most powerful marketing tools available for your business. Social media lets you target specific users, share creative content and increase your leads to hopefully drive your sale figures upwards. While your business might operate online, there are ways to take it offline that could add to your profits. For example, attending trade shows can be a great way for local people to find out about your business as well as introduce your business to the wider industry. By making the most of offline advertising too, you can help encourage consumers to visit your website and help them remember who you are. Pop up shops are particularly popular with ecommerce ventures, and there could be some fantastic opportunities in your local area to make a splash. 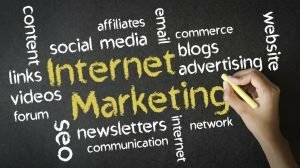 Take advantage of the different marketing methods available to your small business to help you increase you spread the word about your business. Getting an online business off the ground usually involves a period of lone working. Running your own business requires you to take charge of all of your operations, from accounting to customer service – which can soon take its toll, especially if you aren’t particularly skilled in some areas. Using freelancers allows you to ease some of the burden and benefit from the expertise of professionals, without having to take on permanent staff. You can use freelancers for various purposes including administration, graphic design, video production, copywriting and more – allowing you to focus on the day-to-day running of the business. Working with freelancers can mean that you’re dealing with a lot of remote workers. 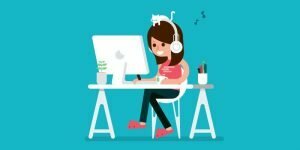 Some business owners find this difficult, but there are ways to effectively manage remote workers. Over time you might decide to bring on some employees full-time and bring them in-house as your business grows. Hiring freelancers is both a great short-term and long-term solution to your resource needs. Working by yourself can be lonely, something which can soon start to feel demotivating. If you’re struggling with the thought of lone working, why not try using co-working spaces? Co-working spaces are great for helping you to meet like-minded people and benefit from a busy office environment without having to be there all the time. If a co-working space isn’t for you, there are other options you can consider such as heading to a local coffee shop to answer your emails or taking business meetings away from home and into more public locations. It’s easy to undervalue what you’re selling in order to generate sales, but could you be selling yourself short? Consider the true value of what you’re selling and price fairly for your time, materials used, etc. Take a look at the competition and adopt prices that fairly reflect the market. As your business grows, you can review your pricing to make sure it stays in line with the industry and that it also reflects other things which impact on price such as inflation or increases to shipping rates. 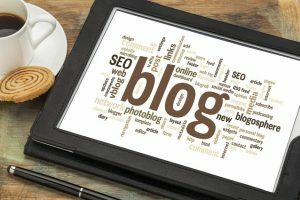 Business blogs are a great way to get some extra engagement from your visitors. They allow you to share news and information about your business or its products, while also providing information to readers that they might find useful or interesting. For example, a company that sells haircare products that blogs about hair trends or offers styling tricks could easily see their web traffic increase – while customers will gain extra value for the content. There are many benefits to having a business blog, and provided you’ve got something useful to offer and a good grasp of SEO (Search Engine Optimization), you could benefit from increased lead generation that could lead to a sales boost. Online businesses have many benefits that you can take advantage of by running your own. 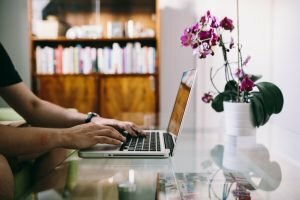 From being easy and cost-effective to set up to being able to work from anywhere – there are a lot of reasons to enjoy running an online business. Whether you run a small online business or start something that really takes off, there are a lot of possibilities ahead of you that can lead to greater job satisfaction and more. If you’ve been toying with the idea of starting your own online business for a while, perhaps it’s time to take the plunge and get started. Running a successful online business takes a lot of time and effort to pull off, but if you’re determined then you should go for it. As the internet becomes a more and more important part of our daily lives, it’s a great time to start your online venture and turn your business into a success. Use these takeaway tips to help you get your business off to the best start.